Yashpeh is a highly ambitious project to collect a million folktales of the world in one easily searchable database. Folklorist Yoel Perez, Director of the Center of Folktales and Folklore, has begun the work and welcomes co-operation to extend it. Details of how you can contribute are here. Tim Sheppard's Storytelling Resources for Storytellers site is an incredible store of links to tales, books and articles on storytelling. The Storytelling FAQ (Frequently Asked Questions) is also hosted here. If you have a question, always look there first. It is the collected wisdom of hundreds of storytellers from around the world - an amazing resource! Tim has recently added an extremely large, eclectic and erudite compilation on Traditional Storytelling: a treasure store of information. A 30-minute interview with master storytellers, Tim Jennings and Leanne Ponder, offering great insight into our art. The interview is preceded by their telling of Four Friends and a Tiger. Story-Lovers SOS: Searching Out Stories is Jackie Baldwin's extensive Story-Lovers site with details of many tales listed by category. The site is no longer active but can be easily accessed through Google's Wayback facility (which is the link given here). To navigate, ignore the search box, which no longer functions, and simply scroll down to the Categories of Stories. Cue Cards is a useful collection by Dr. Brian Sturm of the School of Information and Library Science, University of North Carolina. The page is part of his Principles and Techniques of Storytelling course. Folklore and Mythology - Electronic Texts, an incredible number of traditional tales and lore from around the world. A site maintained by D.L. Ashliman of Pittsburgh University, U.S.A.
Folklore and Mythology Resource Guide, self-explanatory, and a useful collection. Many collections of traditional folk tales are now in the public domain: Joseph Jacob's English Fairy Tales is just one example. Oral Tradition, an academic journal of over two decades standing, is now available online. The site contains nearly 500 articles and 10,000 pages, with all of the contents downloadable as pdf files. The entire electronic archive is also searchable by keyword or author name, with phrase-based and Boolean searches possible as well. European Storytelling Places, details of storytelling organisations in 20 European countries, collected by Aeda, the Spanish Profesional Storyteller's Association in collaboration with FEST. Fairy tales and the healing journey analyses many of the darker motifs in fairy tales. This page on the same website has a list of more thought-provoking articles. www.erzaehlen.de is a site networking much of the storytelling in Germany and German-speaking countries. It is maintained by Martin Ellrodt (Geschichten aller Art), a storyteller based in Nuremberg. Michl Zirk is another Nuremberg storyteller. Michl also organises the wonderful bi-annual storytelling festival ZauberWort. Dirk Nowakowski is a storyteller living near Heidelberg. His website has useful links to the German storytelling scene. Die Märchenerzählerin is the website of Alexandra Kampmeier, an exciting young teller from Hamburg with programmes for adults as well as children. Theater Maskara is Frieder Kahlert's exciting theatre dedicated to the art of storytelling with masks. 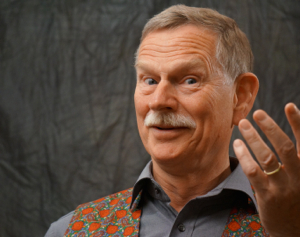 Peter Wucherpfennig is another Darmstadt storyteller. Peter provides truly magical accompaniment to his tales with the Celtic harp. Storytelling may be a wonderful profession, but it is also a business. And when professional business advice is needed, Stefan Kuntz offers this at Künstlerberatung. International Storytelling Network (Red Internacional de Cuentacuentos) brings together storytellers from 50 countries. Fabelhaft Niederösterreich is a major international storytelling festival in Austria - wonderful storytellers from over ten different countries. Facts & Fiction, a UK storytelling magazine edited by Pete Castle, has stories, articles and many links to what is happening in Britain. The Asian Storytelling Network has done much to strengthen and spread the art, not only in Singapore but throughout the region. Limor's Storytelling Agora is a stimulating blog with excellent practical suggestions and thought-provoking discussions. Well worth a visit. Storybug is Karen Chace's extensive website. Karen is a long-time friend from Storytell and super-proficient web researcher. This shows in the many links on her site. It was a great delight to be able to meet up in person on both my first and second trip to the USA. The Folktale Corner has a collection of wonderfully funny and wise tales from the Middle East. Yoel Perez, a generous storyteller based in Israel, regularly adds more tales to his website. Story Arts Online - Heather Forest's large website. The Ultimate Guide to Storytelling - a collection of links from FreeBookNotes. Babacar Mbaye Ndaak - a griot from Senegal. A World-Wide List of Courses In and/or About Storytelling Taught at Colleges and Universities.